School Lunch Boston is the official blog of Boston Public Schools Department of Food & Nutrition Services (FNS). Check here often for monthly menus, nutrition news, recipes and information about our latest initiatives. The Department of Food and Nutrition services 58,000 students at 135 schools in the City of Boston. 44 are full-service Cafeteria Schools in which FNS staff prepare meals on site. 91 are Satellite Schools, which receive frozen prepared meals from Whitsons Culinary Group, which are heated and served on site by FNS staff. Last year, we served over 11 million meals. 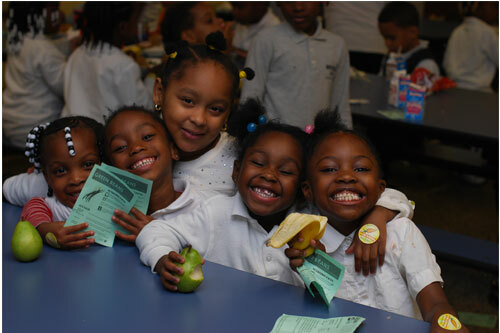 The National School Breakfast and Lunch Program provides low-cost or no-cost breakfast, lunch, and after-school snacks. The Summer Food Service Program provides over 14, 000 meals everyday to children and teens during the summer months at locations across the city. Meals are free and no registration is required. Farm to School links local farmers with schools and puts fresh MA grown produce on the Lunch line. Over 35, 000 pounds of local produce was served last year. 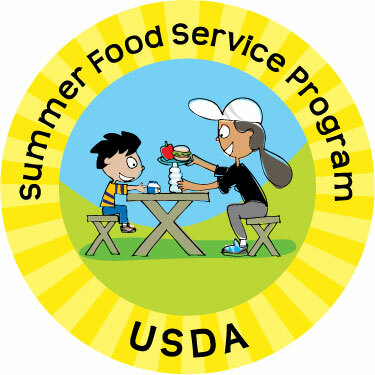 The Fresh Fruit and Vegetable Program is a USDA funded initiative managed by FNS which provides elementary and K-8 student in 27 low-income schools with an additional daily serving of fresh fruits and vegetables. Students are able to try a wide variety of produce – clementines, local asian pears, pineapple, fresh berries, and much more. Fuel Up to Play 60 is an initiative sponsored by the NEw England Dairy Counsel and administered by FNS which promotes healthy eating and physical activity every day. In boston, Fuel Up to Play 60 is focussed on increasing breakfast participation via alternative breakfast models such as “breakfast in the classroom” for younger students and “grab and go” breakfast carts for middle and high school students. If you have any questions or comments regarding school food in Boston Public Schools, please contact Deb Ventricelli, Deputy Director of BPS Food and Nutrition Services Department, at dventricelli[at]bostonpublicschools.org. Plan to Succeed was developed by a team of 20 core Department employees with substantial engagement of external stakeholders. The Plan supports the Department’s mission to offer all Boston Public School students safe, wholesome, nutritious, enjoyable meals to fuel academic excellence through collaboration with students, parents, community, and school professionals. Exhibits listed on page 16 of the Strategic Plan are available here.